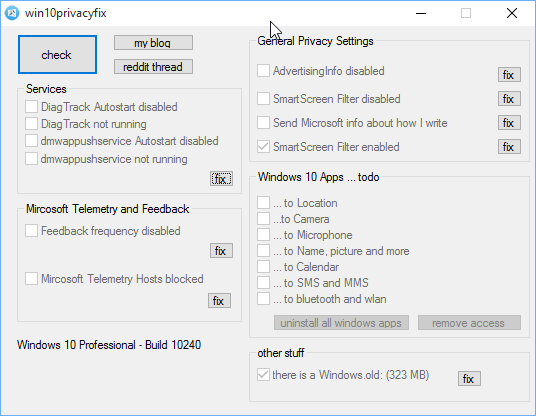 I’ve wrote this Tool at the time there were no GUIs for Privacy Changing available. very basic tool with only a few functions til now, if I get some feedback ill add more/continue. Tool is written in Autoit, there is no installer, no ads and the code is on github if you want to check it or even help out.